Earlier today I received a Google Scholar Alert informing me that Google had found new papers which cited my research publications. Of particular interest to me was the alert which informed me of a citation which had been published in a book. 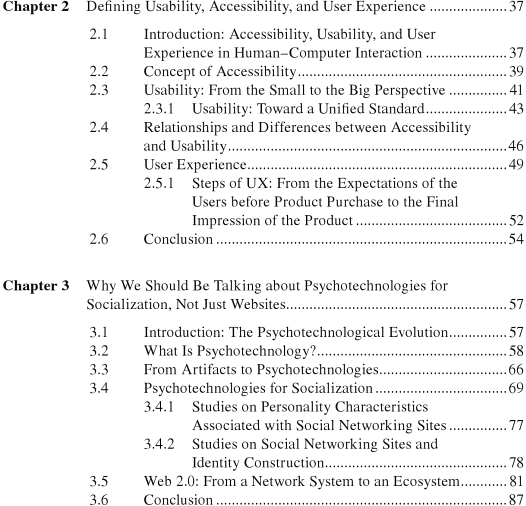 The book is entitled Computer Systems Experiences of Users with and Without Disabilities: An Evaluation Guide for Professionals and is available, in part, via Google Books. Although I was not able to see which paper had been published (page 100-268 were not shown in the preview) I explored the table of content and found two chapters which are very relevant to work I am current doing. I particularly liked the question that was posed which suggested that we may need different perspectives in order that developers can see things differently. I then go on to highlight a chapter entitled “Disability, Web Standards, and the Majority World” by Sarah Lewthwaite and Henny Swan which is included in a book on “Rhetorical Accessability: At the Intersection of Technical Communication and Disability Studies” published a few months ago. However since Sarah and I first became professionally acquainted using Twitter (the 30 seconds I spent reading Sarah’s Twitter biography before then following a link to her blog and discovering our mutual professional interests subsequently led to an award-winning joint paper) I have an interest in how Twitter use can provide an effective tools for collaboration and sharing for researchers. In this case I could have used a social bookmarking tool such as Delicious for openly sharing this resource – but I have stopped using Delicious and this action would, I suspect, not have been noticed by Sarah. What I would not have done would be to send an email message; email is not a tool I use any longer for small-scale sharing of resources which may, or may not, turn out to be of interest. Is Twitter used significantly by researchers in this way, whether by public tweets or direct messages to one’s fellow collaborators? I’d be interested in hearing examples of such activities. Should be talking about psychotechnology for socialization? And should I update my presentation for next week’s talk? I must admit that I haven’t a clue!